Yesterday morning, the good folks at Tourism Vancouver released their latest Vancouver destination film which you may have already seen buzzing online. TVAN incorporated an original song, “It’s You… Vancouver” by local Vancouver-based duo Wastsun who perform the song. If you’re not already convinced Vancouver is the most beautiful place on earth, then have a look at the video… and be sure to enter the contest below! 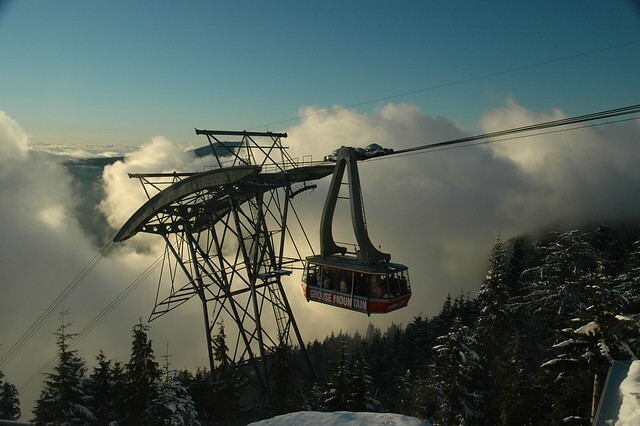 To experience some of beautiful Vancouver on your own, our good friends at Grouse Mountain are offering 2 tickets for you are your besty to come experience the mountain. 2) Leave a comment below and tell us what makes Vancouver the best city in the world! OR Do BOTH for an additional entry! Contest closes and winner announced on Wed, Feb 22 @ 12 Noon. Good luck! Vancouver is the best city in the world because….well just look around…from the mountains to the ocean. It’s a beautiful place with so much to offer everyone. Vancouver is the best because we have everything here possible to do – land, sea, mountains and most of all beauty. Born & raised in Vancouver and still here at 44 years old – I’m never leaving the most beautiful place on Earth. Vancouver is the BEST city in the world because we have beautiful beaches, incredible mountains and world class dining and entertainment. We have it all! Vancouver has beaches, mountains, clean air, and sushi restaurants everywhere! It is the ultimate destination to wine and dine and to pursue an active lifestyle with a multitude of possible activities. 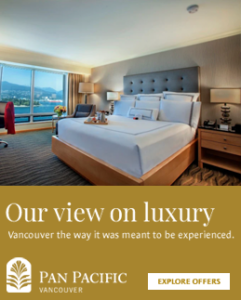 Vancouver has something for everyone! It’s modern with some history. It’s oceanside and mountainside. It’s trendy & casual. Vancouver is me! Vancouver is the best city because it is full of wonderful people. Vancouverites embrace their diversity with tolerance, grace and open arms. Each neighbourhood is a rich expression of a different culture where all are welcome. In what other city can you have real dim sum for breakfast, amazing Indian food (or a plethora of fresh sushi) for lunch and world class fine dining for dinner? And then tomorrow make it the market for breakfast, Greek for lunch and Persian for dinner. Vancouver is authentic! Vancouver has the most die-hard fans of hockey. It is a pleasure to share the same interest with so many other people in this city! This city is amazing! It is wonderful to wake up each day and see the mountains and the sea. Every time you walk through Vancouver there is an adventure to be had. There are so many great markets, places to dine, interesting people, and so much more! Vancouver is diverse and that is one of the reasons our city is so special. This city is new and hip, yet still has some great historical features. The great thing about Vancouver is there is something here for everyone to like. Beautiful city & friendly people. The mountains, the people and the culture… truly a top notch city! Mountains, Lakes, Parks, Ocean. What a beautiful city and part of the world we live in! Home of the Canucks. Need there another reason? Vancouver is the best city in the world because of all the amazing restaurants, beaches and hiking trails!! Urban and outdoor-sy at the same time. Natural beauty and diversity make Vancouver amazing! Vancouver is diverse with so much culture!!! The people that live here makes Vancouver the best city in the world! yummy food makes Vancouver the best best city in the world to live in. Cultural and biological diversity! From the mountains to the ocean, Vancouver is a beautiful city! Well, the video gives dozens of reasons why Van is the best city. Say no more, say no more. The natural beauty of the mountains and the ocean, and the multi-cultural diversity of the people make Vancouver the best city in the world. Congratulations Mark Delleman! You won the 2 tickets to Grouse Mountain! (I will be contacting you via e-mail for information on how to claim your prize). Thank you everyone for participating! Be sure to check back each month for a new contest on the blog!